Former Head of State, Gen. Abdulsalami Abubakar, on Friday, said he will forever be an enemy of anyone that tried to hinder the democratic development of Nigeria or plunge the country into crisis. He also appealed to politicians to be more conciliatory in their public utterances, while warning the Independent National Electoral Commission (INEC) not to support anybody or party in 2019. “INEC must be an unbiased umpire. The security agencies in the country must be fair to all, people must be free to vote their leaders”, he said. Abubakar spoke at the Maiden Edition of General Abdulsalami Abubakar Foundation Peace Lecture, organised by the staff and students of the Abdulsalami Abubakar Post Graduate Students’ Hall of the University of Ibadan. 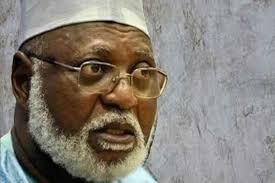 Abubakar stressed the need for Nigerians to focus more on addressing the escalating development crisis in the land.